We used to vacation in Florida at Orange Lake. One night, we [went] outside behind our villa and [found] a field of golf balls. We [took] them home just because. While at home, we [dug] through our basement and [found] some golf clubs. Perfect marriage! We hit balls in our backyard (only 60 yards deep) with drivers. After a ball narrowly missed a window, I figured I should take it to the course. Where did you play collegiately, and did you transition into teaching right out of college? When I was introduced to golf, I was 14 years old. When I decided to play because I actually liked it, I was 16. I worked hard to get better for the next two years, played for Wayne State University, secured a scholarship after my first year to Talladega College in Alabama and, during this time, began teaching with the LPGA Junior Golf Foundation. What about your technical background? How has that experience influenced your teaching? I graduated from Wayne State University with a degree in Computer Science. I think the ways it helps me teach have been immeasurable. In CS, after a program is built, we compile and test it. When we identify errors, the compiler tells us where the error is. This helps us focus on the area that needs to be addressed, saving us from rewriting the program. When reviewing the swing, many students focus on parts that are not contributing to their downfall, but they see them as wrong nonetheless. In a sense, they will try to rewrite the program. I work on getting them to segment their swings and focus on the specific area that needs attention. Beyond that, we try to program their golf swing [so] each person can essentially "execute" when necessary. We want them to feel as if they are pushing a button that starts their swing, so they don't feel the necessity to think about how to swing. Where is your home teaching facility located, and how long have you been there? ICE Golf Academy is located at Orange County National in Winter Garden, Florida. We have called this home for five years. We have a 750 sq. ft. golf studio for indoor work and the entirety of OCN for outdoor. What's the process like for a student as they enter your program? We have an application for parents and students to complete. We get a sense for their goals and current skill level. We [provide] "white glove" service making sure they have a pipeline directly to us, are given as much information as they need, and are added to our email list to be included on all upcoming events. We welcome them to the Academy and introduce them digitally to all the ICE family. What does ICE offer for golfers of all skill levels, and what sets it apart from other schools? 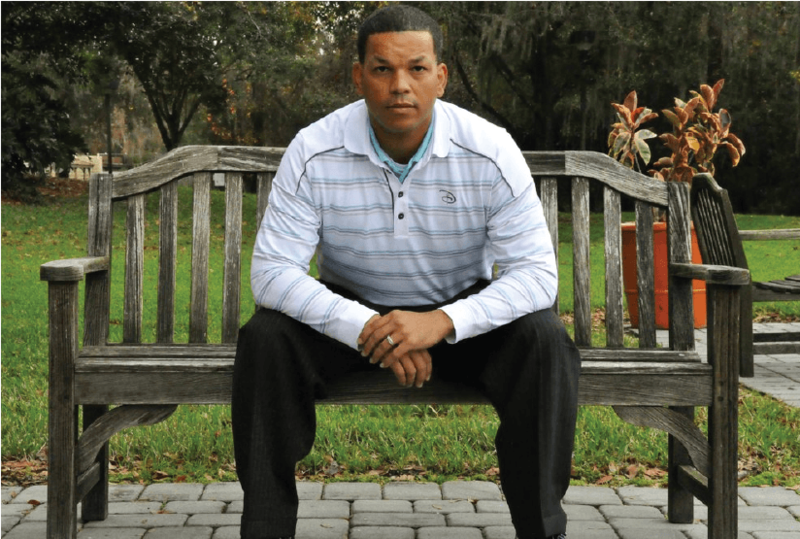 Our idea from the beginning was to give the golfer everything they need to be successful. Our program begins with three levels: introduction to golf, introduction to play, [and] introduction to competition. After level three, players reach “Elite,” which [also] contains three levels. All levels [encourage] the student to achieve two things: pass the level, and learn the mental approach to playing better, complete with [statistical] expectations and how they should approach each shot. Everything we do sets us apart. We want to provide learning for golf, but also give time to practice, on-course time to bring it together, and competitions. One of the biggest and best things we do is every month [is our] skills competition [that ranges] from putting, to short game, to full swing. When complete, we provide a gameplay ID. This identification shows the overall skills of each golfer and also the areas in need of improvement. How do you prefer to teach? Using technology? Indoors or outdoors? On or off course? How does the V1 Instruction Platform factor into your teaching? I prefer to keep much of what I do spartan, in ways. With that said, there are tools I find helpful. 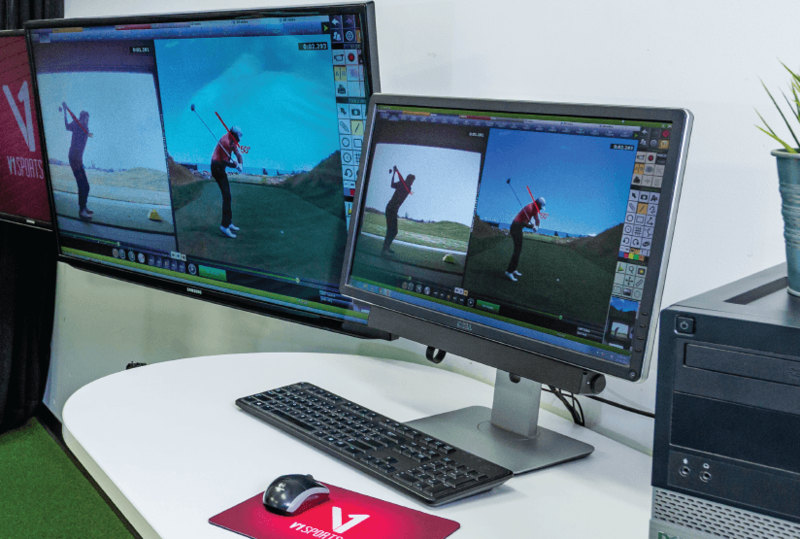 I own a FlightScope® and I use the V1 Instruction Platform. I use FlightScope for the beginners and intermediates for fun competitions. Once they [improve], we begin to look at launch monitor numbers and how we can change them for better results. For V1, I create accounts only for people in certain programs. While they may not have accounts, all students view themselves on V1 video. I record each student to show what I want them to work on for this lesson and the current week. We believe in teaching our students motions, not simply hitting golf balls. We use our indoor facility to rehearse and store the movement patterns along with building fitness fundamentals to encourage those movement patterns. After this, we utilize outdoor to join the movements with seeing results. This will stamp the movement in their brain for future use. Finally, we run on-course competitions to strengthen the bond between the movement and the performance. What are your teaching philosophies and how do they encourage a sense of community with ICE students? We believe and tout our Four Foundations: Technique, Fitness, Course Management, [and] Behavior Management. While technique is important, it should never be the main focus of playing. The mental side is half the game and should be included in any program. The majority of programs I have come across look only at the technique. Furthermore, our community approach is intended to encourage growth [within] a team [structure] and also to keep the fun going. We want the kids to feel like they have teammates. It’s easier to get something done when you feel like you have people with you. 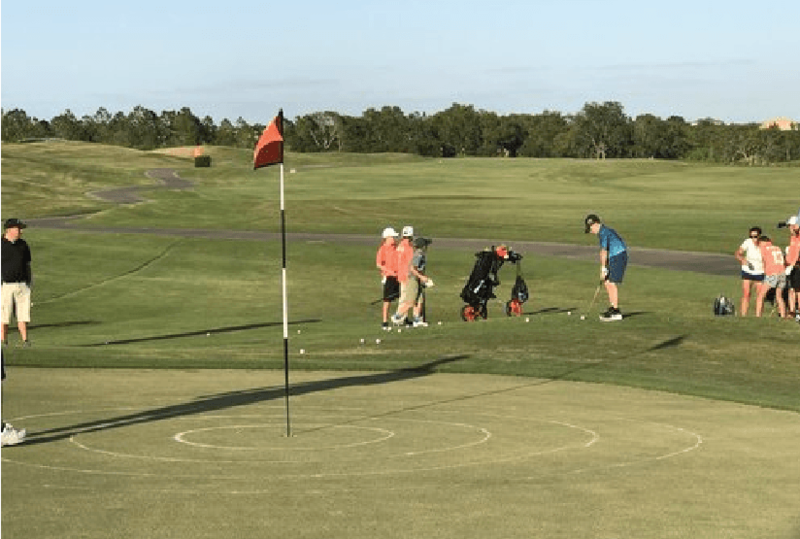 What's next for ICE Golf Academy? That is an extremely difficult question to answer. While we have many things we are working on, life can take us in so many directions. We plan to be a top academy in the next two years using initiatives such as PGA Jr. League [and] PGA Jr. Golf Camps, as well as our TPI, PGA, and U.S. Kids certifications to bolster our position. We are on target to reach 100 full-time students by the summer and, with proper marketing, our program will revolutionize teaching and growth. For more on V1 Pro Vince Burbank and ICE Golf Academy, CLICK HERE .